The one workout where eating chocolate out of the bag isn’t only accepted, it’s practically encouraged—hiking is one winter activity we’re happy to get on-board with. 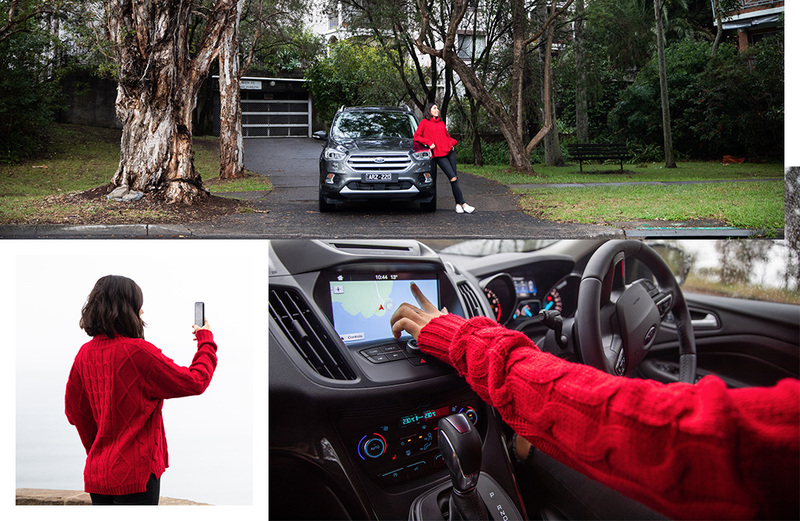 To bring you every beginner walk and hike around Melbourne, we partnered up with Ford, who has an SUV for everywhere you (and your mates) want to go once 5pm hits on Friday (birthday present please?). Whether it’s hitting an off-road track with the Everest, cruising to your fave hiking spot in the EcoSport or heading out for a coastal drive in an Escape, there's something for every hiker. The home of Squeaky Beach and picturesque white quartz sand, Wilsons Prom National Park is a rite of passage for any 10-year-old Melburnian. Channel your inner childish wonder and head back for a dance on squeaky sand. If you’re looking for something a little more challenging, we’re a fan of the Mt Oberon Summit Walk which will reward you with panoramic views of the peninsula at the peak. Make sure to bring a camera for the drive into Tidal River Campground from Wilson Prom, the road is unlike anything else in Victoria. Along with a picturesque drive into the park grounds, Maroondah Reservoir Park features charming waterfront hikes and a big kid-friendly playground. The Lookout Track is the longest of the walks, running underneath the dam wall and aptly named Rose Stairway (we won’t spoil the surprise). If you need coffee along the way (and who doesn't, really) find the closest location by simply saying “I need a coffee” to Ford’s SYNC 3 system, and it'll find you options along the route. It's a lifesaver on those 7am mornings. One of Melbourne’s most popular walking tracks, the Kokoda Track Memorial Walk (otherwise known as the 1000 steps) is an enjoyable trek uphill or a fitness lovers dream depending on your pace. The track is reasonably steep (as the name suggests, steps are involved, so don’t act surprised), however as long as you have a reasonable level of fitness and a water bottle, you won’t have any problems. Reward yourself post-walk with a scenic drive to the Yarra Valley Dairy or Chocolaterie. When you've bought armfuls of cheese, use the hands-free power tailgate (available on the Ford Escape). Just wave your foot under the boot to open and close it. Magic. Traditionally known as a mountain biking National Park, Lysterfield Park also boasts scenic, ragged walking trails and trail runs. Hikes range from half an hour return to full-day hikes. A favourite is a 6.7 km loop that runs around Lysterfield Lake and follows Acacia Nature Trail, Casuarina Track and Lake Track. Once you hit Logan Park Road, you can follow this back to the main picnic area. Showcasing some of Victoria’s most breathtaking oceanic landscape, the Point Nepean Walk guides you through rich history and picturesque blue seas over 14.5km. The drive from Melbourne isn’t half bad, either. An easy 2.2km circuit walk, Toorongo Falls walk leads to one of Victoria’s quieter waterfalls through dense native bush. The Amphitheatre Falls walk is also located just a few hundred metres up the road, if you’re keen to tack another breezy walk to the end of your circuit. Spanning across 29kms and through some of Melbourne’s most unique, local suburbs, the Capital City Trail is the ideal walking, running or bike path if you don’t want to drive too far from home. You can choose to walk the entire loop (ambitious, although the path is mostly flat and paved), or a section. Our favourites include the Collingwood’s Children Farm or Southbank section of the walk. Pack in your mates and a picnic. Editor's note: This article is proudly sponsored by Ford and endorsed by The Urban List. Thank you for supporting the sponsors who make The Urban List possible. Click here for more information on our editorial policy.